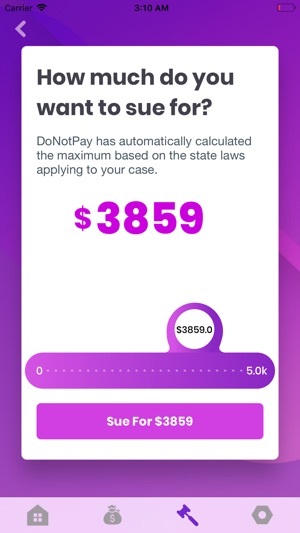 The DoNotPay app is the home of the world's first robot lawyer. Fight corporations, beat bureaucracy and sue anyone at the press of a button. All products are free. You keep 100% of what you save. - Sue anyone in small claims court for up to $25,000 without the help of a lawyer. - Fight unfair bank, credit card and overdraft fees. - Overturn your parking tickets. - Claim hidden government and class action settlement money. - Earn refunds from Uber and Lyft when a driver takes a wrong turn. - Fix errors on your credit report. - Save money on over 20,000 prescription and over the counter drugs. - Scan your McDonalds, Jack In The Box, KFC and Carl's Junior receipts for free fast food. - Find a California DMV Appointment in days rather than months. - Apply for a United States B2 Tourist Visa extension or Family Based Green Card. - Dispute fraudulent or low quality transactions with your bank. - Protect your privacy on Facebook, Twitter and Instagram. Sue big tech companies for every data breach. 13. Make money on your airline and hotel bookings with price protection. 14. 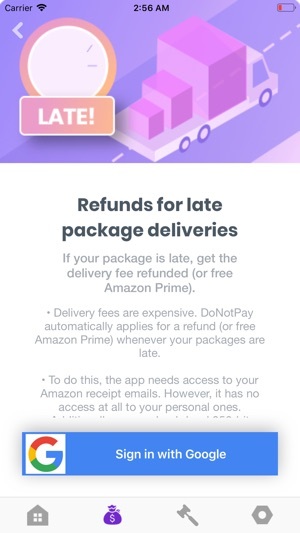 Track your packages and earn refunds (or free Amazon Prime) for late package deliveries. Please email support@donotpay.com for questions, comments and concerns. Here is my feedback on the application. 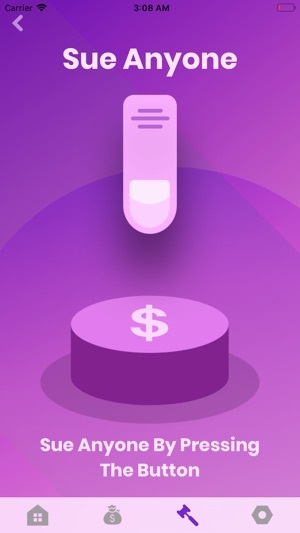 Overall, it is a fantastic idea that allows the user to basically redeem a lot of cash back whether it be medicines or fast food. I’ve seen a lot of debates over whether this app truly is a robot lawyer since its primary service is the ability to sue anyone (talk about an advance in technology). 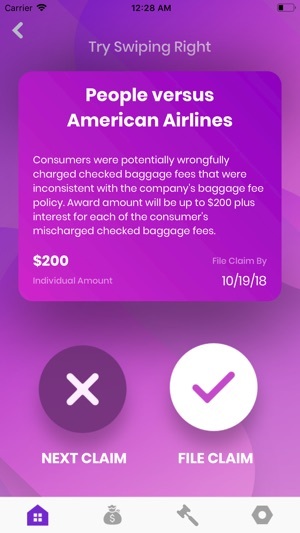 I want to reiterate what I’ve seen in previous review — “This app does not give legal advice nor does it violate any laws because it doesn’t involve itself in personal legal affairs”.The overall mission for the application is to ultimately make the law free for anyone to use, and it’s started by finding easy cases to repeal to help you save money. While straightforward, these are also the things that annoy us the most on the daily — such as making appointments with the DMV or worrying about what our employers see on social media. Now, this product is free and of course there will be bugs which I get many of you have complained about. But I’ve been using this a lot to save on fast food and Uber/Lyft since I tend to eat out a lot, which comes with living in a city. These have all worked perfectly for me, and I encourage you all to try it out. At the end of the day, it’s still FREE! This app is forreal letting me and my family apply for visas as well as a green card. Truly astounding. Honestly, i did not think an app could help us with legal issues such as a complicated one like this, but it’s crazy how tech has advanced within the past decade. We’re literally saving so much money because we’re not going through a lawyer, and it’s so beneficial for people who are lower-income and can't provide the funds for things that are out of our financial range. Thank you so much, donotpay. You guys are forreal changing lives, please keep doing what you’re doing. We need more people like you guys in the world, who are actually providing services that people need, for FREE. you guys are great! All those 1 star reviews are either from people who feel threatened by this tech or just don’t understand it. Smh let’s progress on instead of focusing on our archaic ways. Really useful but needs to evolve a bit. My review is honest and I hope helpful. The app is in its early stages. As with any app idea that catches on, through feedback and updates, the app will evolve into a better and better version. This app does not give legal advice nor does it violate any laws because it doesn’t involve itself in personal legal affairs. I mention this because a posted review I read, which frankly seems slanderous, indicated several times there will be lawsuits because it encourages people to not hire lawyers. That comment obviously written by someone who feels threatened by the thought of SELF HELP legal services. Self Help is the key here. 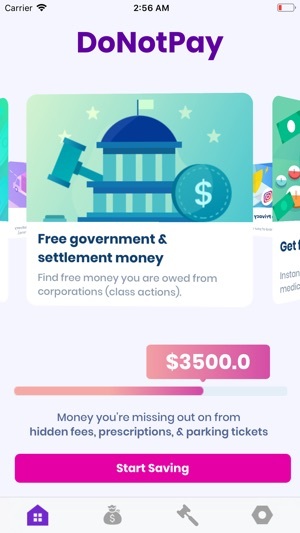 If you have ever seen a tv ad for Legal Zoom , this app is a similar concept. The app helps you assembled info already made public. We all know that it’s easy to miss out of class actions because info is often outdated or you simply did not know they existed. 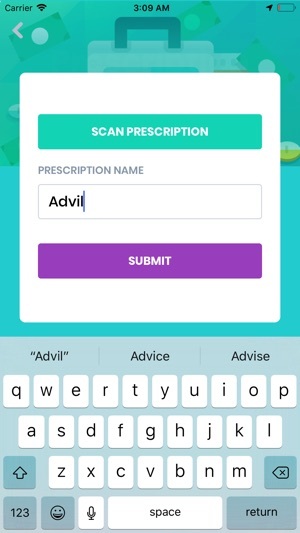 It also helps to send demand letters with very general terminology and the app basically helps you help yourself. It is not trying to replace paying a lawyer. It encourages you to do some of the things that are simple legal steps that can help you preserve your rights. Currently there are some issues that could be improved. I applaud the idea and effort. Hopefully the bad review will scroll off soon, because it was meant only to harm this app and is untrue. It’s also FREE that is awesome.